A movie producer hurtles to his death from the top of the Golden Gate Bridge, an apparent suicide that shocks the film community and puts a two hundred million dollar production in jeopardy. 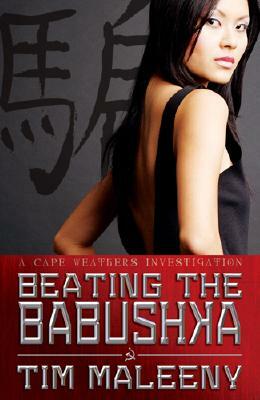 His colleague, Grace, doesn't believe it was suicide and turns to private detec-tive Cape Weathers to find the truth. To solve the case, Cape and his friend Sally–an assassin raised by the Triads–take on the Russian mob, a major movie studio, and a recalcitrant police department by enlisting the help of rogue cops, computer hackers, and an investigative journalist who just doesn't give a damn. But with a sniper on their trail, the challenge will be staying alive long enough to find out the truth. Praise for "Stealing the Dragon"
" . . . Maleeny gives readers a fresh and fast take that enthralls." "–Crimespree"
"Tough, original, compelling–a perfect thriller debut. "–Lee Child, "New York Times" bestselling author of "The Hard Way. Tim Maleeny is a San Francisco-based writer whose short stories appear in DEATH DO US PART, an anthology from Mystery Writers of America edited by Harlan Coben, and also Alfred Hitchcock's Mystery Magazine. Stealing the Dragon is the first in an ongoing series featuring private eye Cape Weathers and his deadly companion Sally.